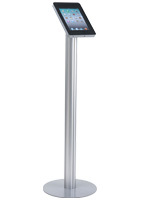 This silver iPad stand is designed specifically for public use. 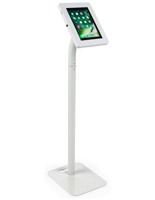 Featuring a locking enclosure and weighted base, the unit protects tablets from vandalism, damage and theft. 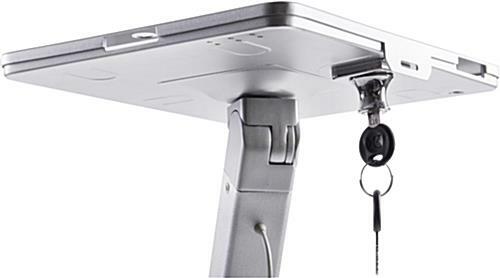 The iPad stand has a built-in cable management system with a charging cable that runs the length of the interior of the pole to hide any cords. The tablet enclosure is designed to accommodate a variety of iPad models. 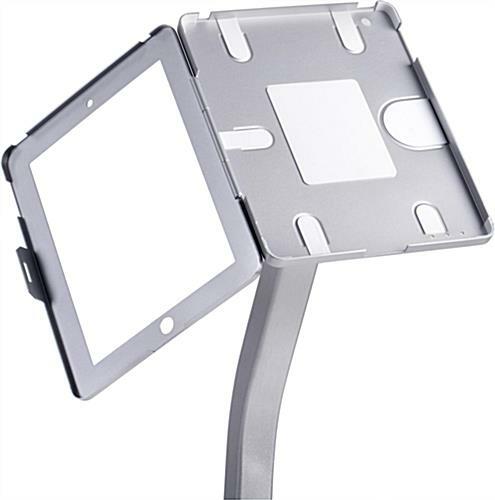 The iPad stand also has a tilting and rotating bracket, so the display can be positioned vertically or horizontally and at a variety of angles. 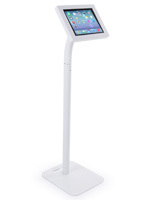 Choose this tablet mount to use in retail stores, offices, restaurants and more. 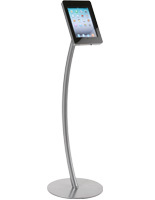 I had been shopping around for an iPad stand for my office at work. When customers arrive to they are asked to check in through the iPad. 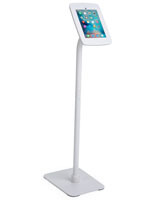 This stand is perfect--it looks professional and is very sturdy. It is a great addition to the office. Also, easy for one person to assemble in just a few minutes. Ryan, thank you for taking the time to share this feedback. When our product team develops new products, it is their aim to offer solutions that will truly help our customers meet their goals. We are so happy to hear that you found an easy-to-use and aesthetically pleasing check-in kiosk to greet your customers with! This product is perfect. I love the integrated power cord, locking feature, the attractiveness and height of the stand. We couldn't be more pleased with your review, Sherry! 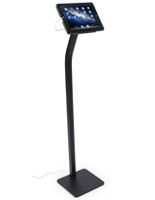 We're happy to hear that this attractive iPad Floor Stand was the perfect solution for you, and we hope you shop with us again soon. Thank you for your kind words! We're terribly sorry to hear this, A. We'd love the chance to turn this experience around for you and hopefully find you another solution that works better for you. A customer care specialist will be following up to see how we can assist. In the meantime, we appreciate feedback like this tremendously as it helps us to identify areas of improvement. We'll pass your insight along straight away to our product team to review this product's design. Thanks again for sharing your thoughts. 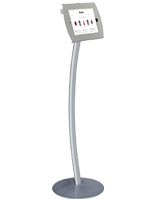 This stand looks great and has a very sturdy (heavy) base. It has a hole for the camera on the iPad, which fit our needs. I recommend it! Thanks so much for the recommendation, Jess! We're so happy that you like your tablet stand! 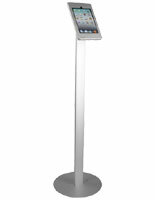 I ordered another model iPad Kiosk display that was complicated to put together and didn't meet our needs. Instead, I ordered this model and boy what a difference. It took three steps to put it together. It looks great! The power management is awesome feature. Everyone is excited about the look and feel of the product. I would definitely order again! This set up looks amazing, Edward! Thank you so much for trying us out again and for sharing this picture of your product in action!